These one of a kind hand forged earrings are Sterling Silver. Using a pitch bowl and varies taps and punches. The Plantago weed or the White Man’s Footprint inspires these earrings. It is believed to be one of the first plants to reach North America after the European colonisation. Native Americans called the plant "white man's footprint" or "Englishman's footprint" because it appeared wherever white men went. 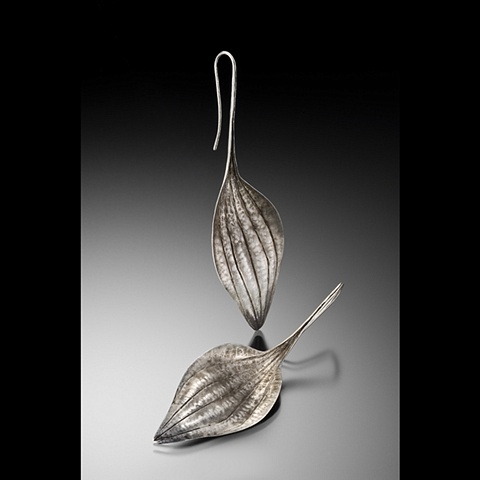 Size: 2 1/2" long by 3/4" at the widest part of the leaf.